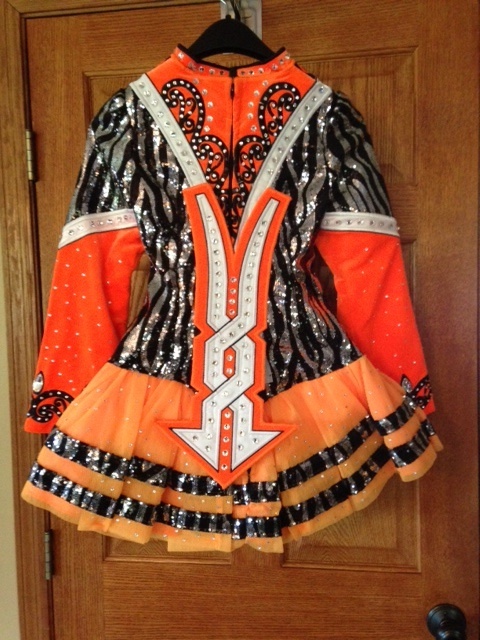 10-month old Gavin championship dress, incredible stage presence that is vibrant and eye-catching. 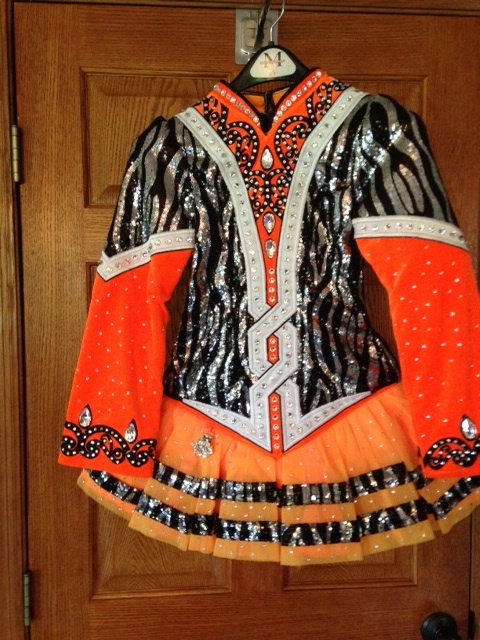 Neon orange velvet sleeves, black and silver tiny sequined bodice that follows through to tulle skirt. 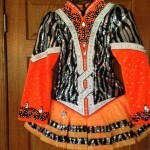 Covered in 1,000s of Swarovski clear crystals. 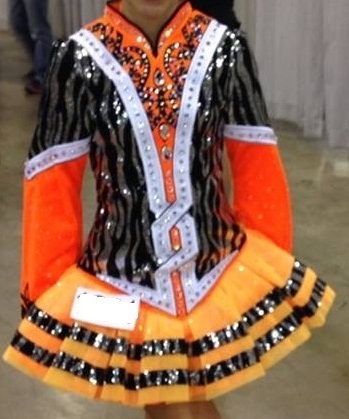 We loved this lucky dress and dancer recalled at Worlds in it, qualified for Worlds at NANs in July and due to growth, are passing along to next dancer. 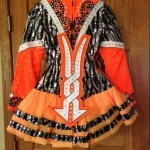 Can send additional pictures to interested parties and includes orange bloomers and custom bow with Swarovski crystals. Shipping free within the Continental US, returns negotiable with 3 days, with buyer paying return shipping costs. Cashier’s checks, teller’s checks or demand drafts accepted. Non-smoking home and stored flat. Chest measured across front: 13 in. Sleeve from shoulder: 21 in. Shoulder to shoulder: 12 in. Front full length from lower point of V: 24.5 in. Can send pictures of inside to show seams. Asking Price: $US1150. Shipping costs are: Are included for my own country, overseas shipping is extra. Return are negotiable.